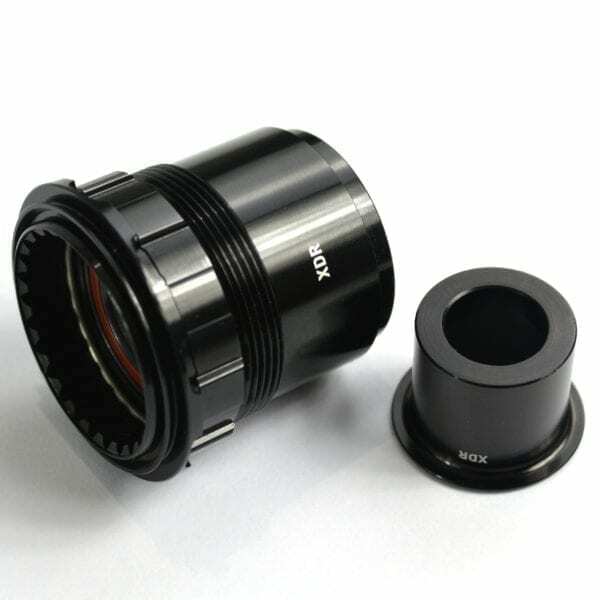 DT Swiss XDR Conversion Kit including XDR freehub body and 142×12 XDR end cap. This genuine DT Swiss XDR Conversion Kit will enable you to convert your 350/240/180 centrelock equipped wheels from Shimano/SRAM 11-speed to run the latest generations of SRAM Etap AXS 12-speed. The XDR freehub body and end cap are specific to the new SRAM Red and Force wireless 12-speed groupsets, and differ from the existing SRAM XD driver, which is 1.85mm shorter. With a total weight of 46g, the XDR Conversion Kit offers a slight weight saving over a standard 11-speed driver, and requires no immediate re-dishing of the wheel when installed. To service and maintain your DT Swiss hub at home I would recommend riders also purchase some DT Swiss Service Grease. Going 12-Speed? 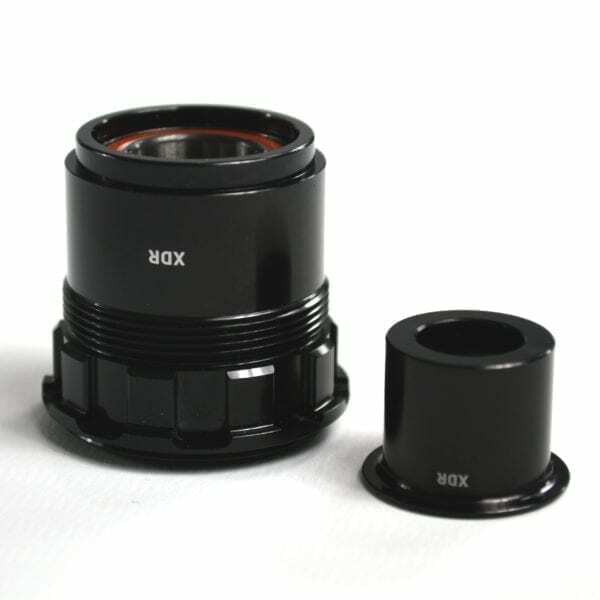 This genuine DT Swiss XDR Freehub Body and end cap is an essential conversion if you intend to run either of the latest SRAM Etap AXS groupsets on your 350/240/180 centrelock equipped wheels.